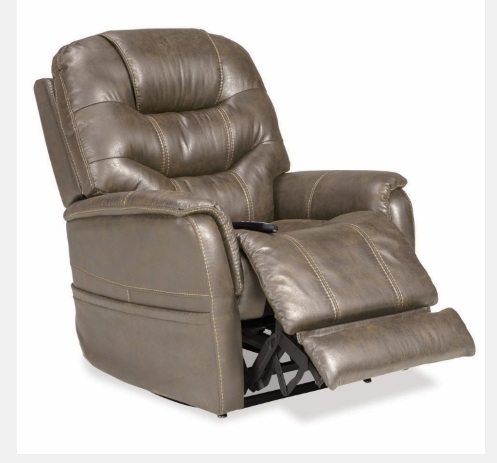 Pride's new Viva Lift Power Recliner - Elegance series is an Infinite Lay Flat position chaise lounger. A power lumber for personalized ergonomic comfort, full-width power headrest to lift head, neck and shoulders, a lithium battery back-up is an industry first! An abundant power lasts for days and replaces ordinary one-time-use backups. Fashion forward styles set these chairs apart from all others! User Height 5'4" - 6'0"